We are delighted to invite you to our Family Fun Day on Sunday 28th May, from 14:00 to 19:00. There will be plenty of music and dances in addition to children activities. The Art Show will be running alongside and we will also be providing a range of cold and hot drinks. Please bring your food with you to share. During the day we will be presenting our collective work from the last 12 months as part of our 2nd Annual General Meeting which starts at 16:00. 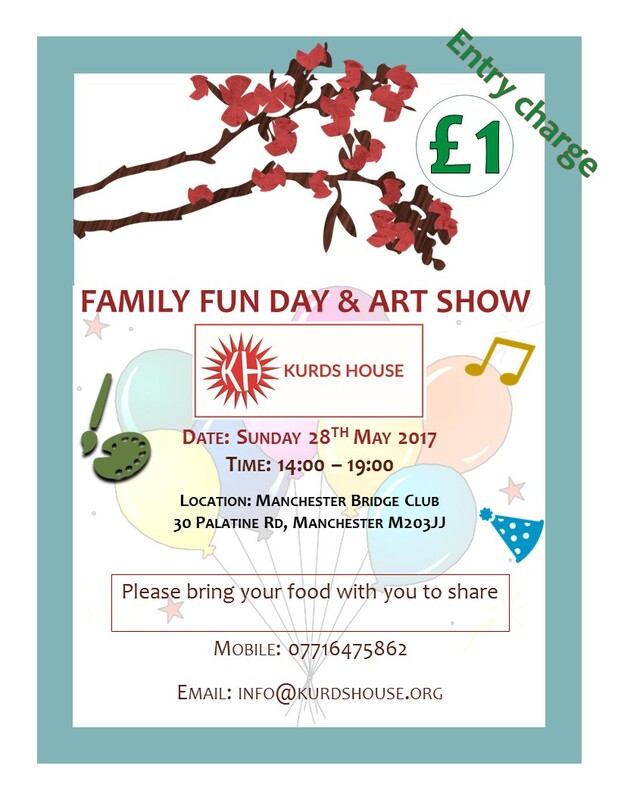 Kurds House would like to invite you to our Service Day on Sunday 3rd September 2016 between 12 and 5 pm. 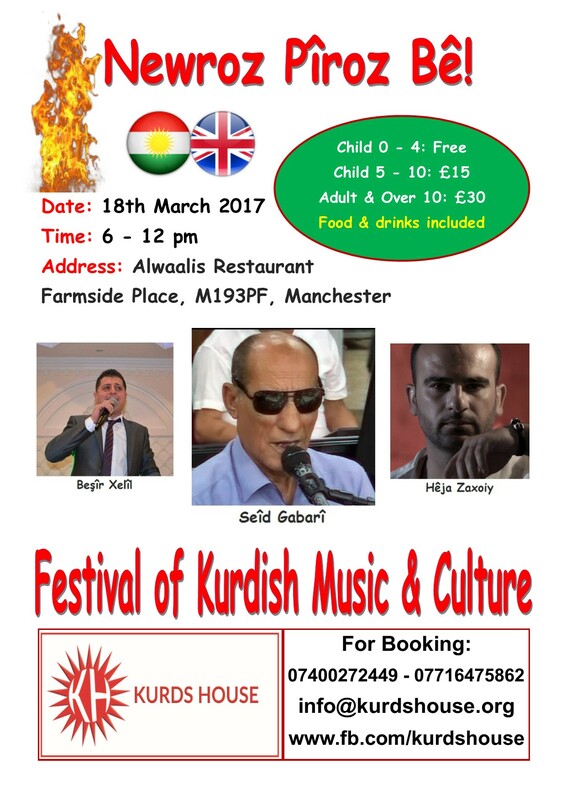 Activities will include assisting with requests and enquiries and chatting to other refugees in the region. Please feel free to join us anytime with your family and friends. Drinks, snacks and live music will be provided throughout the day. 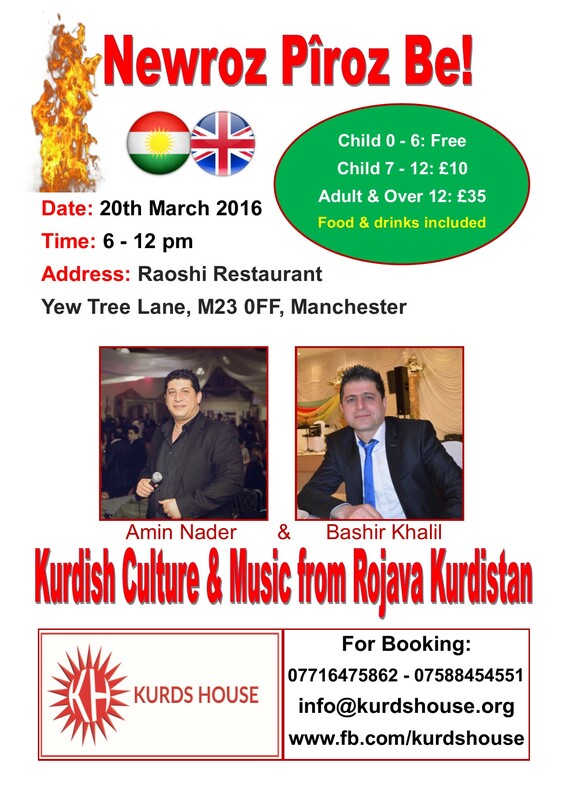 Kurds House would like to invite you to our Service Day on Sunday 2nd July 2016 between 12 and 5 pm. 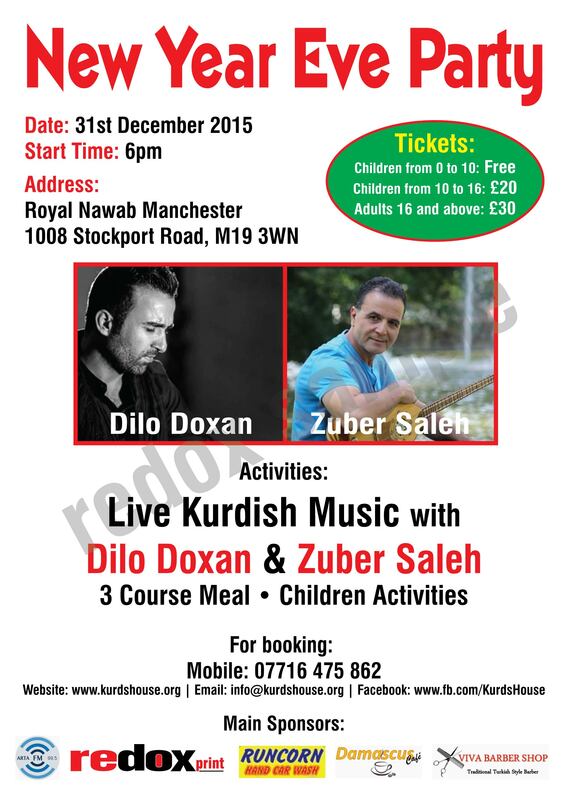 Kurds House would like to invite you to our Service Day on Sunday 6th December 2015 between 12 and 5 pm. 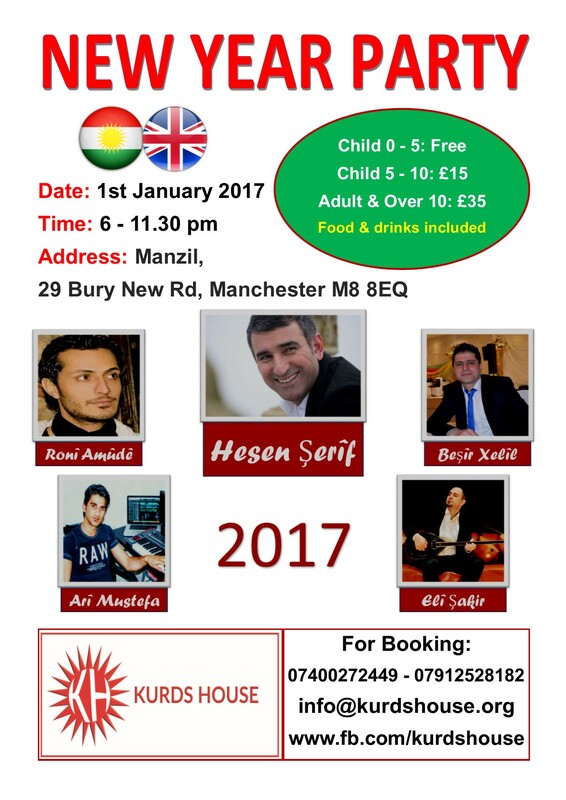 We would like to invite you to our New Year Eve party. You can book your ticket online or contact us for any further information. Kurds House would like to invite parents and their children to attend the Children’s Rights Workshop run by Mr Hassan Ayo, on Saturday 14th November from 10 am to 4 pm. 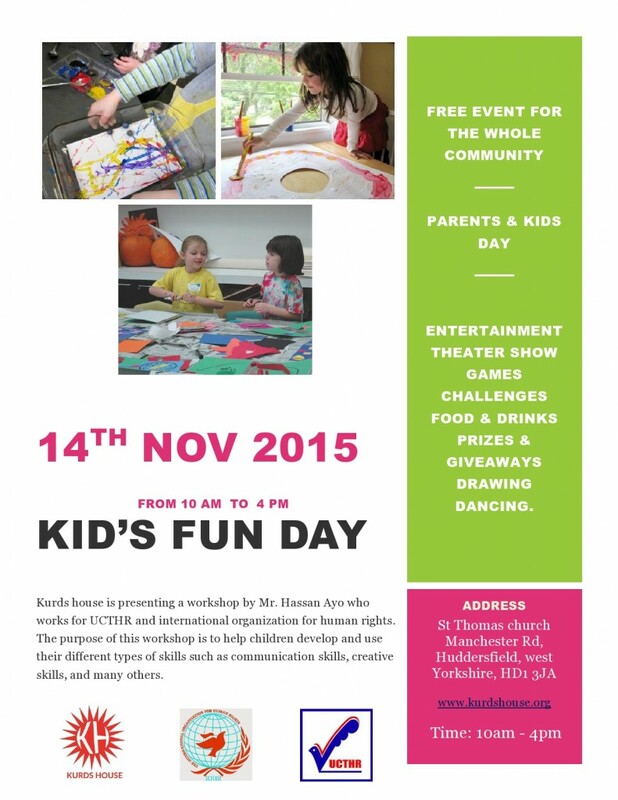 Kurds House would like to invite you to our Service Day on Sunday 1st November 2015 between 12 and 5 pm.